Have you heard?!? TpT is having a SALE!!! 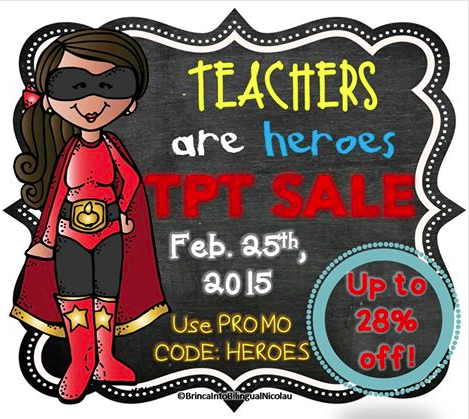 For all my teacher heroes...go take advantage of this awesome SALE starting tomorrow. My entire store will be 20% OFF and if you use the code HEROES, you can get an extra 8% off for a total savings of 28%! Check out the newest BUNDLE I added just in time for the SALE!!!! Trabajando con Prefijos!!! I am loving this resource. It has interactive notebook pages, memory/matching game, and an assessment for each Spanish prefix in the bundle. Check it out by clicking on the picture. I will also be doing some shopping. I am linking up with Stories and Songs in Second to bring you "What's in my Cart?" This has been on my wishlist for forever! 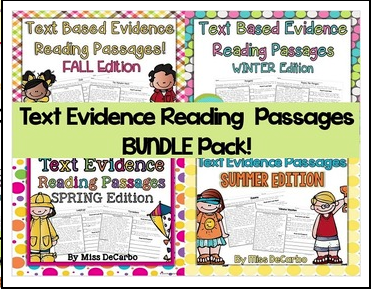 I have read the reviews and I know this will definitely help my seconds in going back to look for text evidence. I had been debating on buying the Winter Edition, but when I heard about the sale, I thought I might as well get the BUNDLE!!! Yay!! Have you seen the cuteness Amy Lemons just posted. I saw her post this and immediately knew I needed this! 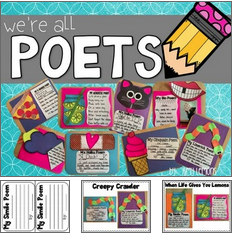 Poetry + Cute Crafts = Happy Teacher!!! 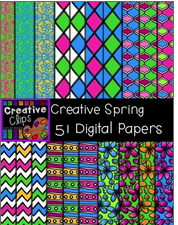 Of course, a purchase can't be complete without clipart from the amazing Krista Wallden! I will definitely be purchasing these and the summer papers! 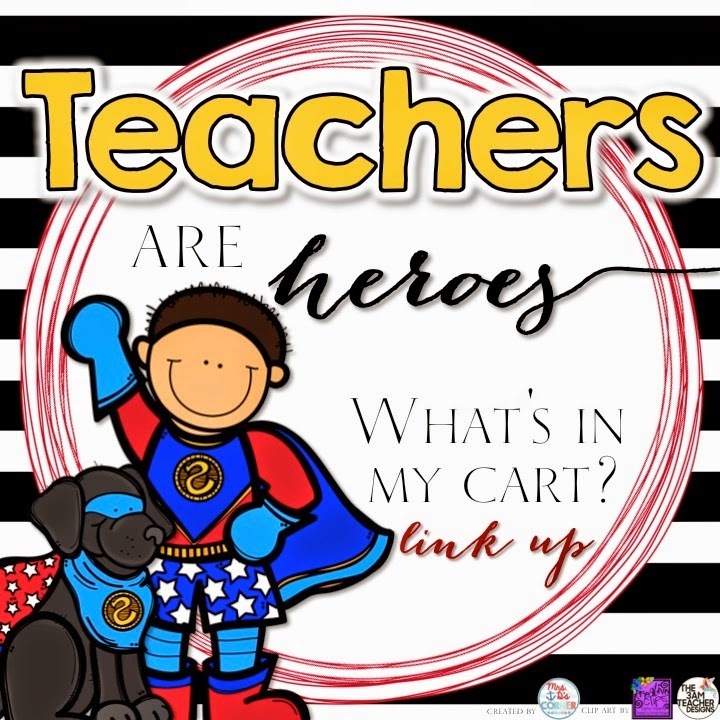 To all my colleague Teacher Heroes, thank you for all you do and let's keep being A.m.a.z.i.n.g.!!!! I love the poems product!!! How cute!! !